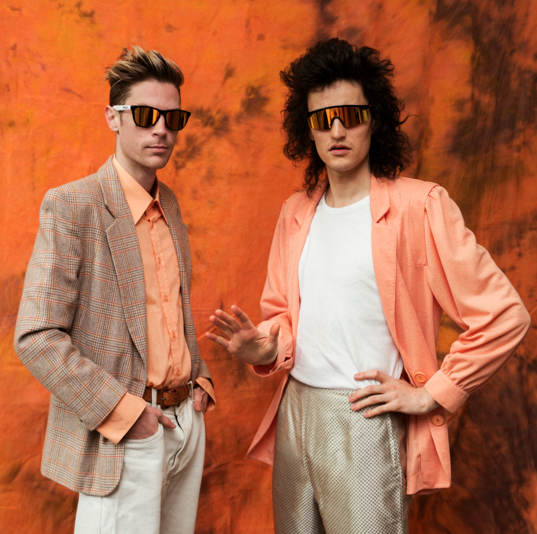 Funky act, Client Liaison have released dates and details on their new tour which is titled 'Pretty Lovers' Tour, thanks to MTV Dance, Spotify, The Thousands, Select Music &Remote Control Records. They previously were the support act for Flight Facilitites while their 2014 Australian Tour. debut self-titled EP, which was released via Dot Dash / Remote Control late last year. In conjuction with this exciting news they have also released a video for track 'Pretty Lovers'. "'Pretty Lovers' describes a favourite summertime activity of ours, throwing an extravagant all night breakfast party. In preparation for this late night ritual we like to submit to the solar withdrawal, whereby we take potions to sleep through the daytime and wake up to the heat of the night, welcoming our close friends and family (the Pretty Lovers) for a night of burnt toast, drip coffee, oysters and rice bubbles." it's always a party at a Client Liaison show!